A week ago, I posted my recipe for my coffee reduction along with the mishaps of trying to flavour pair it. I had almost given up. But not before realizing that it belongs on something sweet. I should’ve known from the beginning. Without further ado, I give you coffee and crepes. Absolutely gorgeous. The recipe for coffee reduction can be found here. On the stove top, melt the butter. Then add the milk and heat until warm but do not let it boil. Sift the flour into a bowl and add the salt. Make a well in the middle of the flour and crack the eggs into the bowl. Whisk the mixture. Slowly add the milk and butter to the flour mixture in multiple batches. Heat a fry pan and melt a small tab of butter in it. Ladle a scoop or two of the crepe batter into the pan and roll the pan around to get a nice, thin and even layer. Cook for a minute or two. Take a spatula around the edges to make sure the crepe isn’t stuck. It should be ready to flip when it moves on its own when the pan is shaken. Time to flip it. Get a good grip on your spatula. 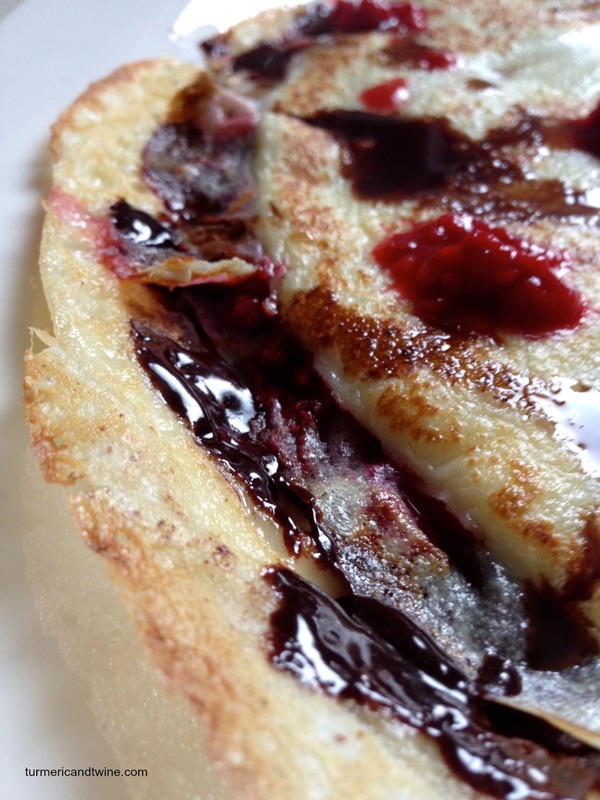 Wedge it under the crepe and flip the spatula and pan in a simultaneous and smooth action. Don’t worry. 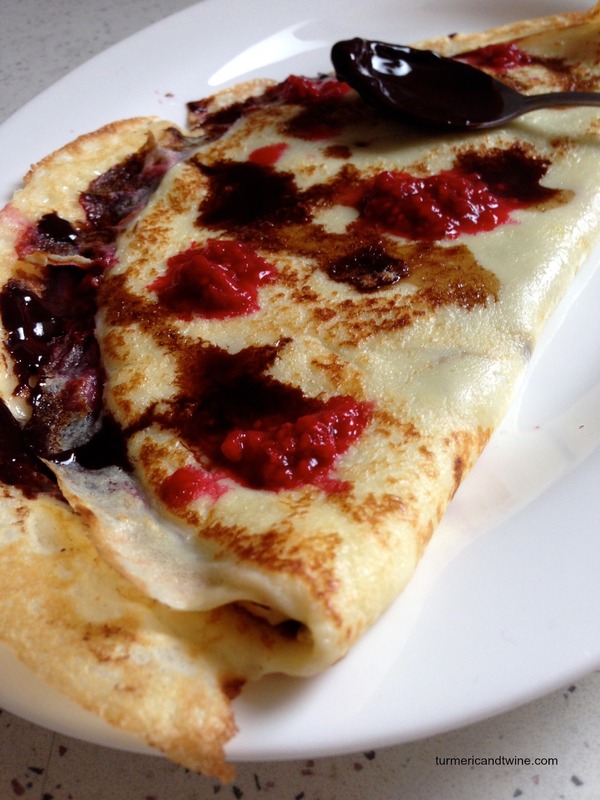 I messed up a few flips, but the crepes are surprisingly forgiving. Repeat until the batter is gone. In a small pot, heat the raspberries, sugar and lemon on medium low heat. Crush the raspberries with a spoon and mix well. In a separate pot, melt the chocolate with milk on low heat. 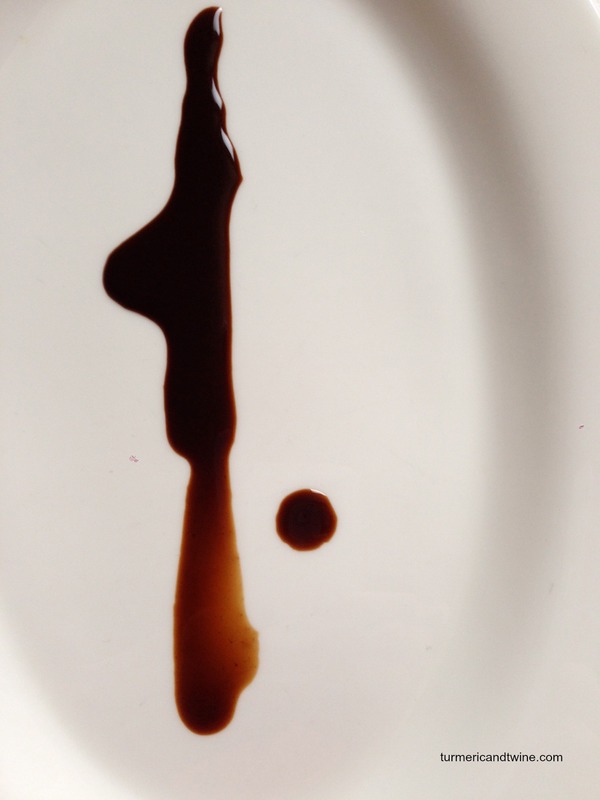 Spoon 1 tablespoon of coffee reduction onto a plate. Then place a crepe on top. 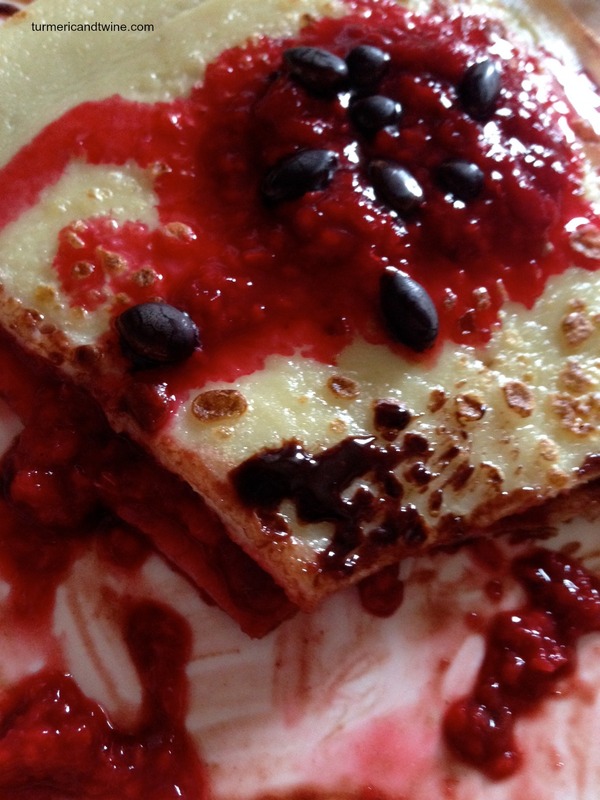 Fill half of it with raspberries and chocolate and then fold in half to cover the filling. Spoon another teaspoon of coffee reduction on top. Try not to get a stomachache from eating too much. It might be a challenge.